Experts at the University of Stirling, collaborating with the Autonomous University of Barcelona, conducted the first study into the impact of animal personality and external coloration patterns on the reproductive success of a fish. The team – led by Dr Sonia Rey Planellas, from the welfare and behaviour research group of Stirling's Institute of Aquaculture – then assessed how these factors influence the fitness of the species as a whole. "There is a lot of research on the impact of coloration patterns on sexual selection and reproductive success – and animals tend to choose mates that look better and have more defined coloration patterns, or those that look similar to them," Dr Rey Planellas explained. "Other studies link animal behaviour traits, or personality, with assortative mating and the fitness of the species." "Our research explored both areas – coloration patterns and personality traits – to see if they were linked in some way and how they impacted the fitness of the species." Dr Rey Planellas worked with Professor Simon MacKenzie, Director of Research at the Institute of Aquaculture, and the study formed part of the thesis – on zebrafish personality and phenotypic variability – by PhD student Reynaldo Vargas, now working at the University of Panama. The team selected fish – males and females – on both their personality and coloration patterns and crossed both parameters, creating four combinations: proactive, or bold, fish with clear defined coloration; proactive fish with undefined and unclear coloration; reactive, or shy, fish with clear defined coloration; and reactive fish with undefined and unclear coloration. From the successful crossings, the scientists counted a number of reproductive parameters: the number of eggs, survival of the eggs, embryos, and growth and survival of the larvae up to juvenile stages among others. Dr Rey Planellas said: "For all of the parameters of fertility and fitness of the species, proactive animals were the best, regardless of their external coloration pattern. However, both parameters were additive meaning that proactive fish with defined coloration patterns always achieved the best scores. This is also a very interesting result. "Behaviour of the males during female guarding was also different, with proactive animals being more aggressive and protective of the females, compared to the reactive fish." She added: "Our research concluded that personality plays an important role that surpasses the effect of external appearance in the reproductive success under this conditions, and therefore, in the fitness of the species. "This is important in understanding the evolutive drivers for the ecology and conservation of fish, and for the industry to select specific phenotypes that will perform better. It may also inform how we select fish for aquaculture, and the potential impact upon conservation." 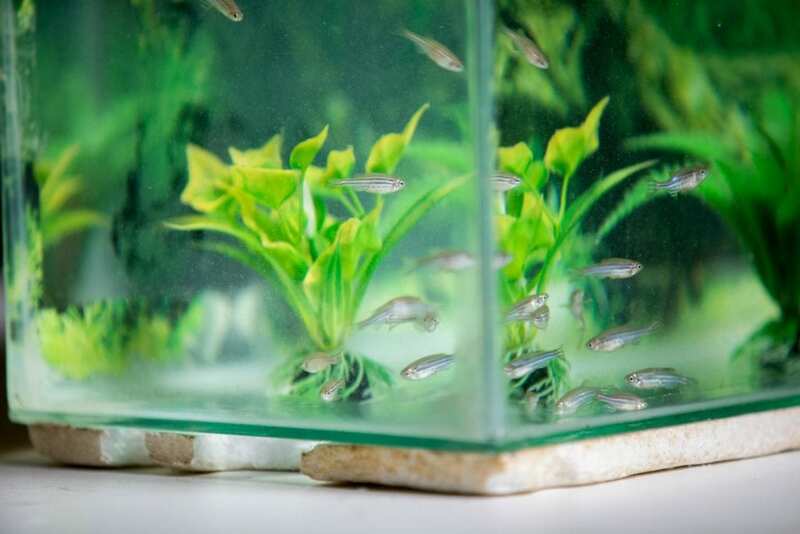 The study, 'Love at first sight': the effect of personality and colouration patterns in the reproductive success of zebrafish (Danio rerio), is published in PLOS One. It was funded by the Ministry of Science and Education in Spain under the Consolider-Ingenio Programme 2010's Aquagenomics project and the Government of Panama through a PhD grant to Dr Vargas.